A barren, sloped school yard is transformed into an inviting outdoor learning environment. 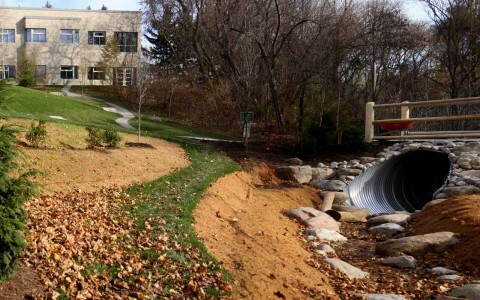 Working in collaboration with Earthartist Landscape Architecture; trees, land sculpting, and armour stone seating provide a classroom amphitheater that will mature into a woodland-like environment. Authorization from Urban Forestry and TRCA allowed for a dried up stream bed to be brought back to life, beckoning students to come and experience natural habitat in action. 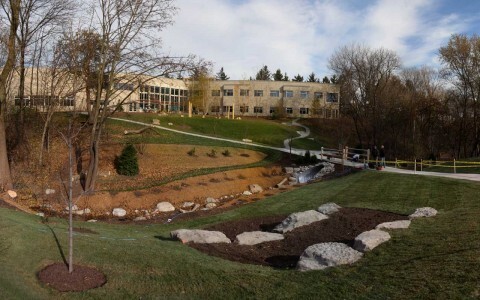 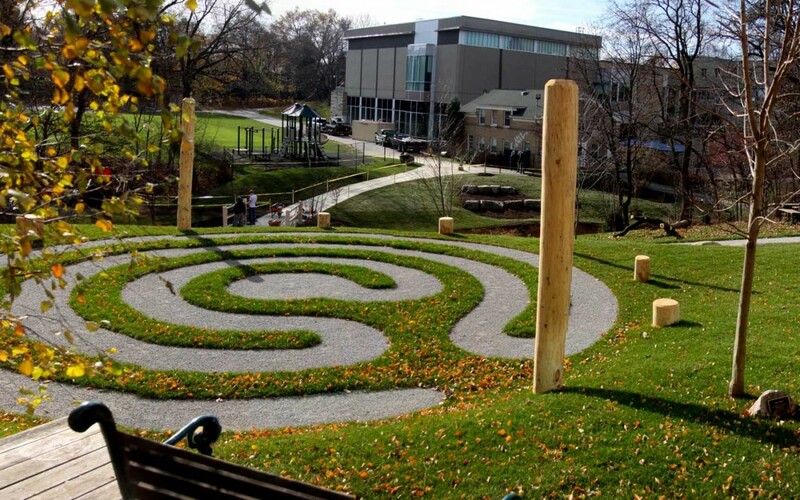 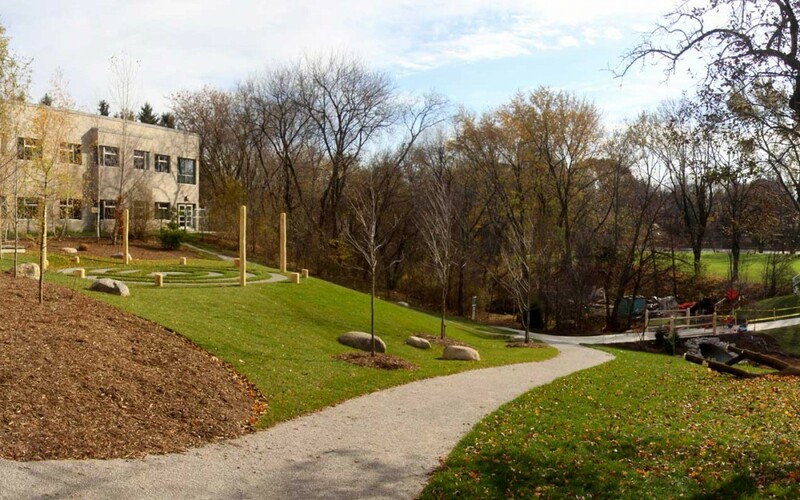 Extensive walkways, a bridge-way over the stream, and an intriguing labyrinth all work together to invite students to come and enjoy the outdoors.